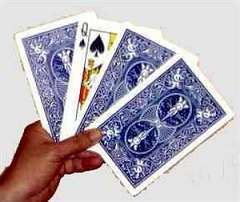 Two playing cards are selected and each if folded in half. Both cards are pressed together and when they are peeled apart, half of one card has transposed with half of the other. You now have two half and half cards and both may be given away as souvenirs! 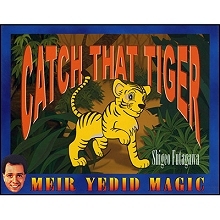 A card trick that can be performed for children. It’s cute magical and examinable. 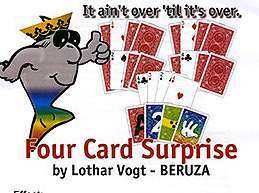 Here's a very strange effect that your spectators won's believe even after they'se examined the playing card that you magically created right in front of their eyes! Fantasize the most baffling "Card to Impossible Location" and you just might get the sense of the power of FROSTED PIP. 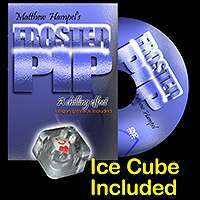 The pip of a selected card appears INSIDE an ice cube. The pip is really inside and not on the bottom for an optical illusion. Add this to the effect that the performer MELTS THE ICE CUBE IN A HAND! 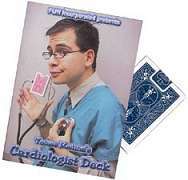 Fan the deck and show that all the cards are different. Have a spectator select a card and put it back in the middle of the pack. Snap your fingers and it's back to the top. 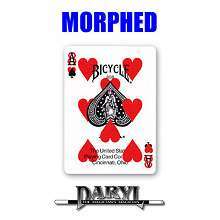 Then, like a "Svengali" deck you riffle the cards and the entire deck changes to the selected card. Ton Onosaka clever packet effect where four kings turn over one at a time. But you saw Bicycle backs not the backs of the kings. Deal them to the table to reveal what they really look like from the back. Turn the cards over, one by one, and instead of a normal back, each now bears the back of a king! 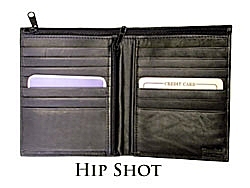 A spectator selects a card, returns it to the pack and shuffles. 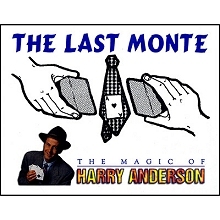 The performer states that he'll try to find the card without even touching the deck. 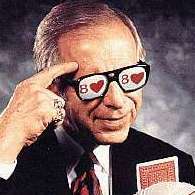 He puts on his glasses and looks down at the deck held by the spectator. He names a card...but it's wrong. He tries again, but still doesn't get the right card. 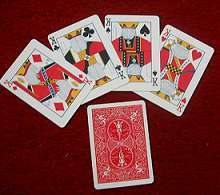 A card is selected and lost in the deck. 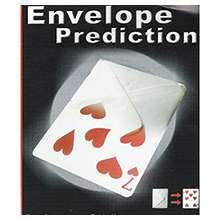 The magician announces that he has an envelope with a prediction that he proceeds to show to the audience. The deck is held by the spectator. 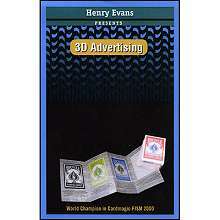 The magician tosses the envelope into the air and it turns magically into the selected card. 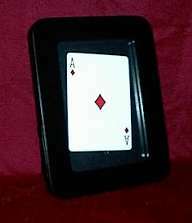 A Selected Card Magically Appears In A Picture Frame! 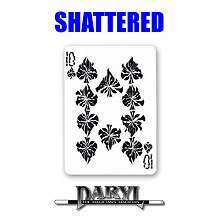 This effect is a classic and has been made by past greats such as Thayer and Worth Magic. Now CW provides its craftsmanship to this easy to perform card miracle.